I'm inviting you all to my home, this Saturday, 10:00-2:00 p.m. for a New Catalog Launch and Open House. I will also have some extra Thirty One fun here as well. We will have a FREE make and take, LOTS of prizes and a BUNCH of new catalog project samples. I will also have my calendar available for workshop sign ups as well as new catalog product shares. PLEASE mark your calendar and plan on coming. Open House means come and go anytime in that time frame. Going, Going, GONE!! The Retirement List is HERE! 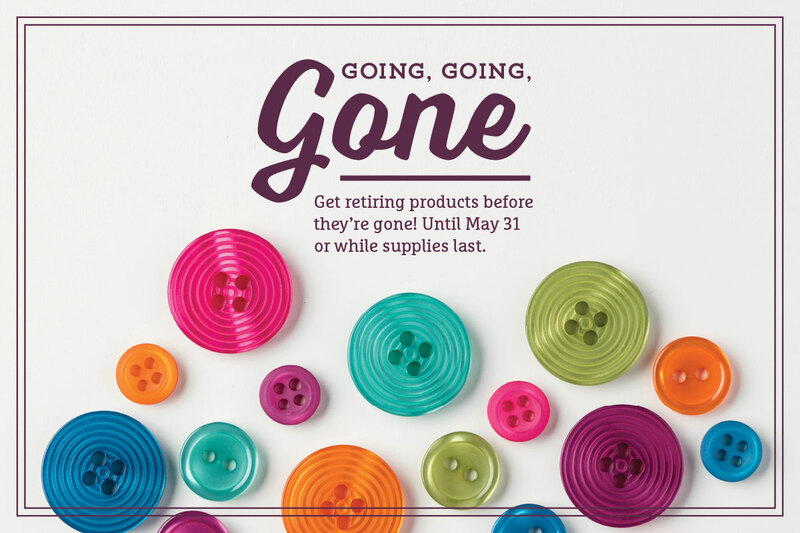 The retired list has been posted and while you can shop online and see all the wonderful products we'll be saying Farewell to, you can also download a list here to print off. Keep in mind all stamps that are on the list will be orderable until May 22. All accessories are while supplies last. Some items are up to a 50% mark down! I will be having a "Farewell" Party, coming soon! Watch for a date! I'm scheduling classes for this weekend. It's been a while and I'm so sorry for that! Between spring break, Easter and Girl Scout Cookies, we've been weekend BUSY!! Let me know which session will be the best for you. Hostess Code and An Opportunity You Don't Want to Miss!! I completely forgot to put this month's hostess code in the post yesterday. As you are all rushing off to purchase a prepaid subscription for My Paper Pumpkin, make sure you use the hostess code at check out (if your order is less than $150) and you'll have a shot at the hostess benefits if "we" buy enough as a group. This month's hostess code is ZTJPCMAE. Click here to shop! We all know as this Stampin' Up year comes to a close (which reminds me, get your retiring colors now before they sell out), there will be a new catalog soon. A big pretty book of wonderfullness that inspires us all to create handmade gifts, tags and cards. Well, here's the question, do you want to peek at all that goodness early, before anyone else does? 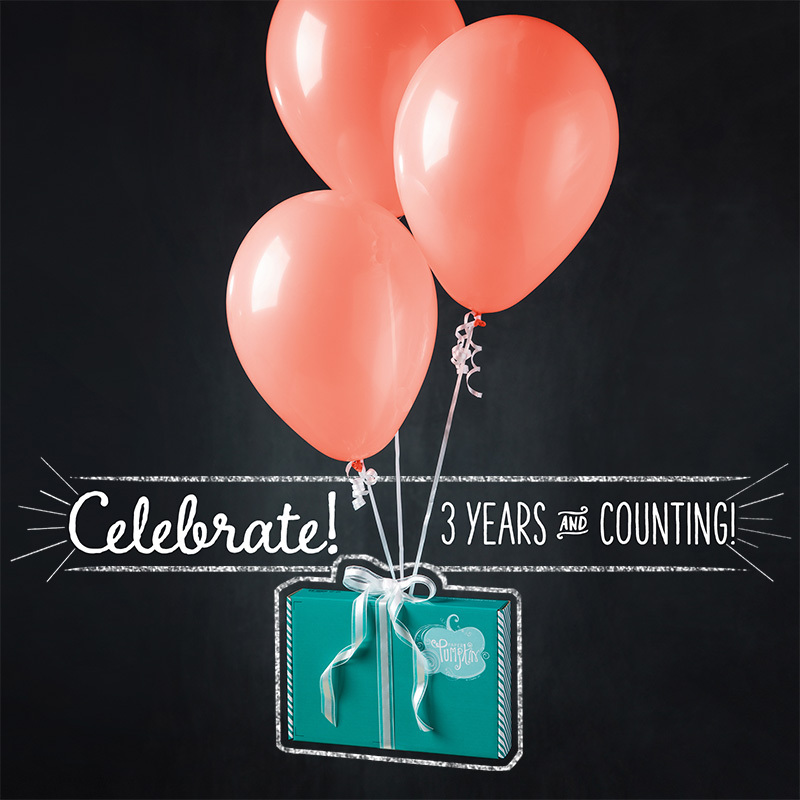 From now until March 31, when you join Stampin' Up! you will cash in on some great benefits. First of all, the starter kit is $99, that's it. 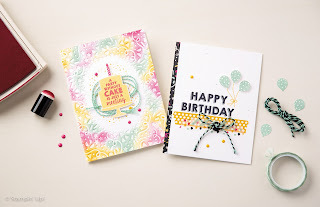 (no shipping) It is one of the only times Stampin' Up! gives you FREE SHIPPING! If you hold only 2 workshops, you have the potential of paying off your kit! In this, you get to choose $155 in product! So you are essentially saving over $70 on your order, when you account for the $56 discount and free shipping. You also get a "discount" (between 20%-25%) on your purchases each time you order. Who doesn't want a generous discount? As a demonstrator, you get exclusive weekly emails full of ideas, information and more! There's a fantastic magazine exclusive to demonstrators as well, that is even more FULL of workshop ideas, project ideas and other inspiring things Stampin' Up! has to offer. As a part of my growing team, you will also be a part of a community of friends who want to stamp together. I will offer as much or as little business building tools as you'd like. So whether you want to be a hobby demo who still attends classes with me, or start your own blooming business, let me know, and I'd love to help! NOW is definitely the time!! There is no contract, no commitment, and no penalty for not "selling". If you try it out and decide it's not for you, that's fine! Just let your demonstrator-ship run its course and you aren't penalized. They only limit you from rejoining within a certain time frame. But I promise you, once you join, you'll be hooked! I was hooked 7 years ago, joined 6 and haven't regretted a single day!! Message me for more info, or click here to join! Paper Pumpkin is SUCH A TREAT! See why!! Paper Pumpkin is pretty much the greatest thing since sliced bread, and well, until March 31, you can get a 3 month subscription for $55! That includes shipping, and also... a FREE Sale-A-Bration item. Activate your 3 month prepaid subscription, or simply join by April 10, and you'll get a free stamp set. That is in ADDITION to the stamp set, ink spot, and kit materials already in your box. This is to celebrate Paper Pumpkin's 3rd Birthday and 1,000,000th kit. Read that right? 1 MILLION!! If you are already a Paper Pumpkin subscriber, be sure to stay that way, (don't suspend a month or cancel) and you'll get a free stamp set, too! 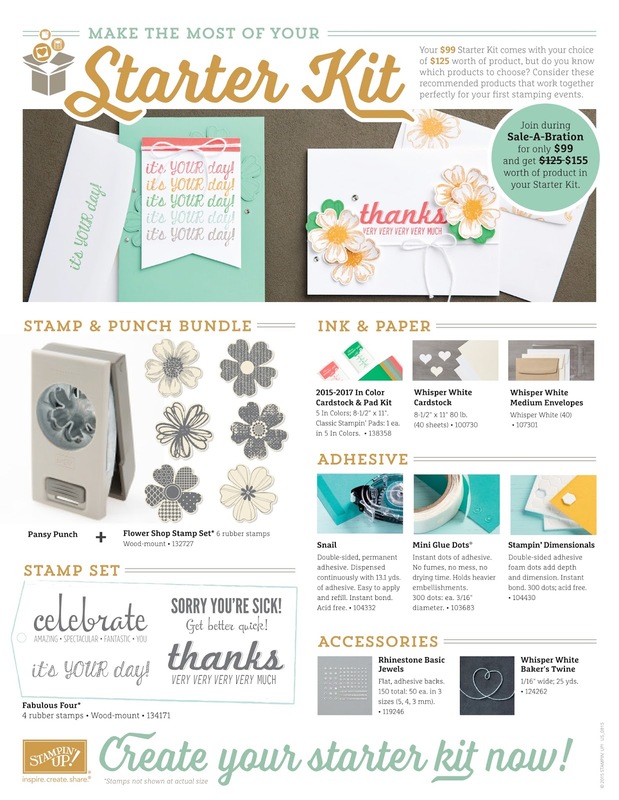 Order a prepaid subscription for $55 (3 months), get a FREE Sale-A-Bration choice, AND an extra special stamp set in your April box. Keep in mind, when you are ordering a prepaid subscription, you will check out on the stampin up website, then an email with a confirmation code will be sent your provided email address. You will then use this code on the My Paper Pumpkin website. This is where you'll refer to when managing your Paper Pumpkin subscription. I had an overwhelming amount of responses for card class! Yay! THANK YOU! However, they were mostly all declining. That means this coming weekend is just not the one for us to make cards. It's not fun to be the only one (or two) people in attendance. So, with that being said, I'm going to post pone to next weekend. Please let me know if this will work for you. Looking forward to seeing everyone! Also, as many of you have requested, we will have a Girl Scout with an order form if you'd like to preorder cookies. Please, do not feel obligated, but I know that many of you have asked. Weekly Deals, New SALE A BRATION Items and Prizes! 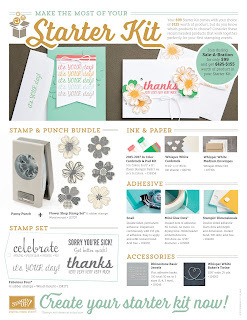 You can contact me through my Stampin' Up! website or email. Follow Lacie's board Stampin' Up-My Paper Pumpkin on Pinterest.